Institutions of higher learning are basically encampments of scholars herded by business professionals. Students are integral to the purpose of the institutions, but not necessarily to the nature of their functionality. Accordingly, some of the quirks of the prototypical academic bleed into the business processes of the school. One of those processes is hiring. Faculty prospects are interviewed by a committee from their chosen academic discipline. Following the interview an extended wait seems to by the typical experience. While the academic peers do the interviewing, school administrators do the hiring. It’s an example of power sharing that faculties across the country have fought for over generations and a good example of division of duties that isn’t very streamlined. One of the best routes to a successful interview is through the graduate assistant program. Graduate assistants are grad students that work in conjunction with a faculty member in teaching classes. Graduate assistants teach breakout groups, grade papers, counsel students and develop one-on-one teaching skills from which, no doubt, they develop some portion of their teaching philosophy. Once having obtained that doctorate, a graduate assistant will be in the position of knowing many of the department faculty members prior to the formal job application process. Otherwise, college teaching jobs are earned the old fashioned way: through successful interviewing, contacts, and possibly a little politicking. There are a number of websites that provide national job listings by academic discipline. Considerations include course load, the support that is supplied (i.e. the number of graduate assistants that are funded) research opportunities and publishing expectations. Once hired on in a college teaching position, tenure is the pot of gold at the end of a very long period of labor in the ranks. The provisions for gaining tenure and the process of granting it are too complex to go into; suffice to say that it is academic high drama. 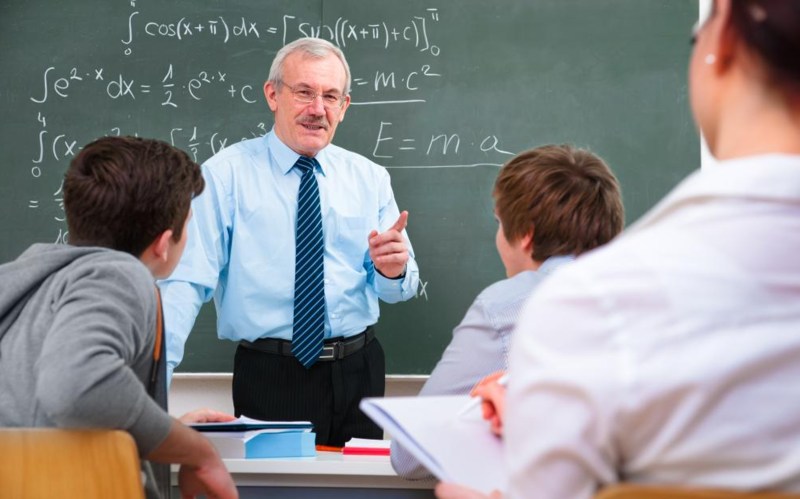 According to the U.S. Department of Labor, college teaching opportunities are expected to grow much faster than the average of all other types of employment over the next ten years. Many of these will be part-time positions, however. The growth pattern stems from the growing college-age segment of our population and the increase in adult education, combined with the retirement of existing college teachers. Community colleges and technical schools will offer some of the best opportunities due to the growth of continuing education. The part time status will be due in part to the decreasing support for education from state and federal government sources. The median annual earnings of all post-secondary teachers as of May 2004 was a little over $51,000. Salaries for full time faculty at four year institutions averages $68,000. There is a scale starting at the top with tenured professors of universities, descending through non-tenured faculty to assistant professors to instructors to community college staff and so on. In humanities and education fields, the teaching salaries were higher on the average than comparable positions in the industries. In medicine, law, engineering, business and other more lucrative pursuits the teaching salaries were lower on the average than their private sector counterparts.